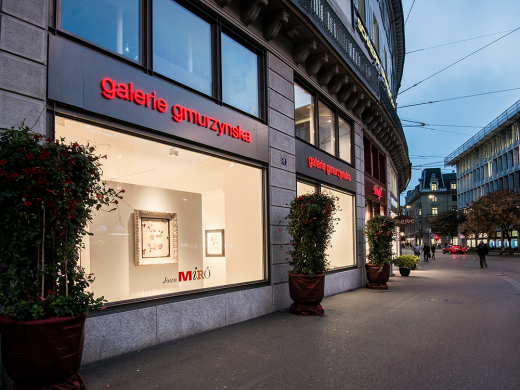 Galerie Gmurzynska is an international art gallery with locations in Zurich and Zug, Switzerland, that specializes in modern and contemporary art as well as Russian avant-garde. The gallery was founded in 1965 in Cologne, Germany by Antonina Gmurzynska. From the beginning, the gallery was interested in organizing exhibitions that had a documentary character both through the choice of themes and through its publications. In its first year, an important exhibition of Japanese art from the 14th to the 19th century was held followed by an exhibition of French masterpieces from Pierre Bonnard up until the mid 20th century. The following year the gallery presented the work of David Burliuk – the first exhibition of Russian avant-garde. Up until 1971 the gallery’s program focused on Surrealism and international Constructivism in addition to Russian avant-garde. Subsequently, classic Modern art with a special focus on Picasso, Kurt Schwitters, Fernand Léger, Lyonel Feininger, and Robert and Sonia Delaunay were incorporated into the gallery’s program. From 1986 Krystyna Gmurzynska continued expanding the gallery’s classic modern program and in 1991 the gallery’s new Cologne building constructed by the Swiss architect, Roger Diener, was inaugurated. 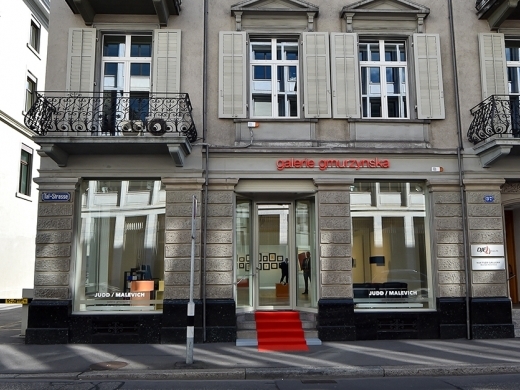 In 1993 the gallery expanded to a second location to a 14th century building in the heart of Zug, Switzerland. This building has given the gallery the opportunity to experiment with new exhibitions such as Yves Klein and Kazimir Malevich or Aspects of Futurism in 1995, by juxtaposing modern and contemporary art with classic architectural elements of the Zug space. In 1996 Mathias Rastorfer became a partner of both extensions of the gallery, having been with it since 1991 when he left his position as Associate Director at Pace Gallery in New York. Under his influence and in addition to the gallery’s traditional repertoire, the work of contemporary artists such as Donald Judd, Louise Nevelson and Yves Klein amongst others, were incorporated. 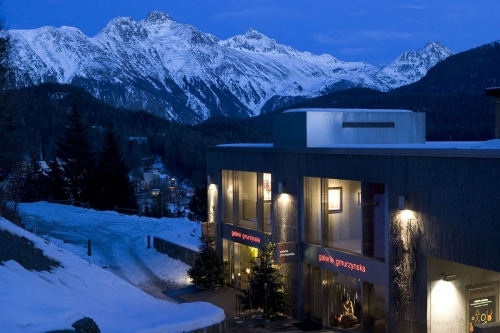 Ten years later the gallery opened its third branch in St. Moritz at Via Serlas, in 2003. 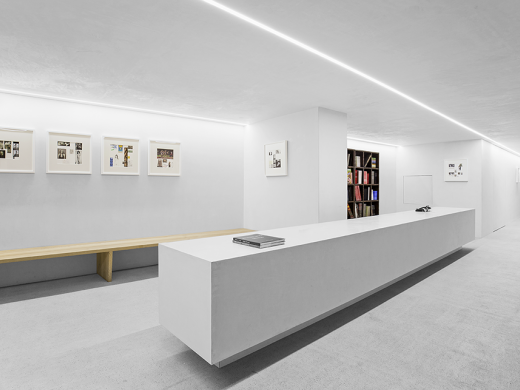 Forty years after its establishment, Krystyna Gmurzynska and Mathias Rastorfer relocated the gallery from Cologne to its new flagship location in Zurich’s Paradeplatz in 2005. The building that currently houses the gallery dates back to 1857 and it is the same block in which the Dada movement was founded in 1917, presenting its first exhibition at Galerie Dada. The first exhibition in Zurich was a solo exhibition by Alexander Calder, entitled The Modernist, that was executed in close collaboration with the Calder Foundation, who described it is as “rare to experience a presentation of this quality outside of a museum”. As with each exhibition at the gallery the show featured a fully illustrated catalogue with important essays. Known for its museum quality and uniquely curated exhibitions, Galerie Gmurzynska has hosted over 150 shows in its various premises and published over 200 art historical catalogues and catalogue raisonné in close collaboration with experts worldwide. 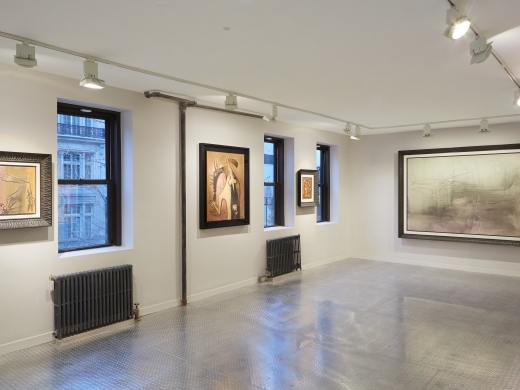 Moreover, the gallery has represented the estates of some of the world’s greatest artists such as Yves Klein, Louise Nevelson, Wifredo Lam and Roberto Matta, in some cases for several generations. 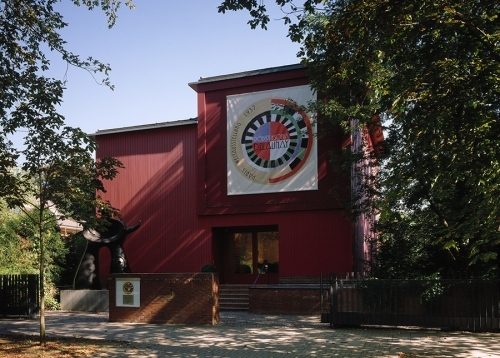 Furthermore, the gallery represents contemporary artists Robert Indiana, Christo and Ronnie Cutrone among many others. Galerie Gmurzynska continues to present unique exhibitions that are both historically well researched and scientifically documented. It also continues to work with leading art historians as well as collaborating with museums on exhibitions and for the enlargement of their permanent collections. Additionally, it currently participates in several art fairs such as Art Basel in Switzerland, Art Basel Miami Beach, Art Basel Hong Kong, TEFAF NY Spring and EXPO Chicago. In the past it has taken part in FIAC, Frieze and PAD London and NY among many other fairs. 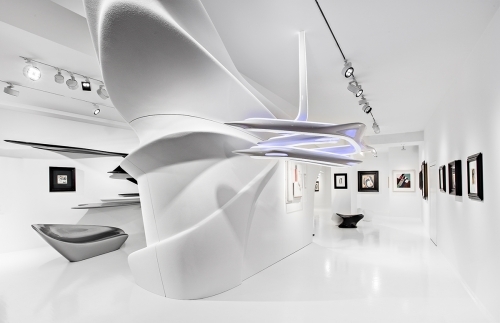 Today, Galerie Gmurzynska’s Paradeplatz gallery in Zurich features the last interior exhibition architecture of Zaha Hadid, which was conceived for the DADA centennial in June 2016 on the occasion of a major Kurt Schwitters retrospective, reimagining the 21st century Merzbau. The project has been finished with Patrik Schumacher and the team of Zaha Hadid Architects, shortly after unfortunately Hadid passed away unexpectedly. 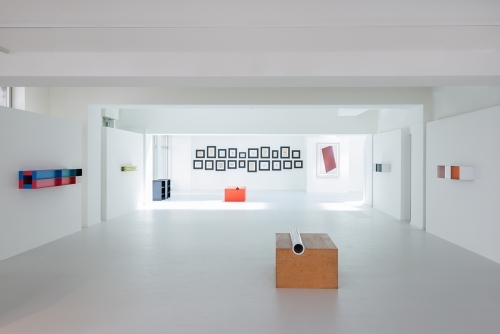 Moreover, Galerie Gmurzynska has opened its second space in Zurich on June 10th, 2017 at Talstrasse 37 in Zurich with a JUDD / MALEVICH duo show that has been curated by Flavin Judd the co-president of the Judd Foundation. The exhibition is accompanied by an extensive publication of over 260 pages and hitherto unpublished documentary material.